This question is actually a more complex question than you might think, but we will try to simplify it as usual to make it easy to understand. The first step when asking this question is actually to identify the type of vacuum cleaner you have, and the type of filter. Is it a bagged vacuum, or a bagless vacuum? Is this a motor pre-filter or is this an exhaust filter? What type of filter is it, a regular foam filter or a HEPA filter? These questions play a huge role in determining to replacement of the filter. Let’s focus on specific vacuum types, in hopes to narrow down the question just a bit. When dealing with bagless vacuum cleaners, the cleaning or replacement of the filter is absolutely key to the performance of a vacuum cleaner. In the section below, we also discussed the different types of vacuum filters. The issue with bagless vacuum cleaners is that in most cases they are cheaply designed, and not well built. Therefore, there are many places in the vacuum cleaner where air (including particles, dust and debris) are leaking out. This nearly single handedly nullifies the entire point of the exhaust filter (being a regular or HEPA type). Therefore I actually recommend in many cases that a person just throw away the exhaust filter and stop wasting money on it. Most shops will not tell you this, because it can cost them money in the long run. But here at the canistervacuumforsale, I try to be as honest with my customers as possible, even when it might cost me money. The reason for my recommendation on throwing away the filter is simple. Many times people are unaware of when to clean or replace these filters. What ends up happening is the filter becomes so clogged with dust and debris that it actually seals itself shut and no longer lets air pass through it at all. What this does is two things. It strains the motor, like someone trying to breath during at asthma attack, which can in turn actually burn up the motor. Because of the above it is vital that you check the filters on a bagless unit often. It is really recommended that every time you dump the dust container, that you remove the filters and blow out with air compressor or compressed air can if available and also to shake them out and wash them when required. As for replacing, most filters are recommended to be replaced every 3 months to 6 months, depending on the filter, vacuum and how frequent you use the machine. Pre-filters are filters that filter air before it goes through the motor, rather than after. The same information above does apply however, and you should follow the same rules. Vacuum cleaners using a bag handle filtration and filter replacement much more efficiently. Because the dirt is being contained inside a bag, rather than a cheaply designed and sealed container, there is much less leakage of dirt and particles. In turn this means that the filters on a bag machine, both the pre-filter and the exhaust filter, stay much cleaner. The same rules still apply from the bagless section above, however you typically will not have to change the filters as often. If you have allergies or any type of respiratory problem, some people will recommend that you purchase a bagless vacuum and I just want to tell you that this information is severely flawed. It is actually much healthier to run a bagged vacuum that a bagless vacuum. With bagged cleaner, you will achieve a much higher rate of filtration, even with a cheap bagged vacuum over any bagless vacuum. So, with a bagged cleaner you do not need to change the filters as often as the bagless machines. 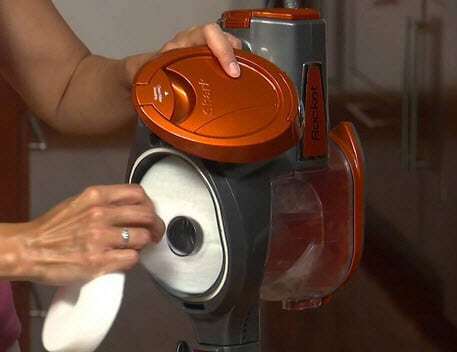 Also read: Best canister vacuums for allergies. In the next section, I will expose the truth behind the HEPA filter. 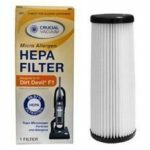 During my many years of experience in the vacuum cleaner industry, I have found the HEPA filter to be the most commonly misrepresented and misunderstood concept or idea. There’s a ton of information on the internet about this topic, and if you take the time to research it you could come up with more information than you could handle, so my goal here is to give you a brief and to the point overview on HEPA filtration. This HEPA standard stated that 99.97% of all particles, that are 0.3 microns or larger, must be captured by the filter. This standard is a very precise and exact standard. We as humans are not able to see any particles that are .3 micros in size, without a microscope that is. For most of us, these particles size are not much of an issue, but for those with allergies, asthma or other respiratory problems they can present many issues. From here, the next thing for us to do is directly address the misconceptions concerning HEPA filtration with vacuum cleaners. HEPA (as well as many other) standards are used in many parts of our lives, such as hospitals, restrooms or other sensitive areas. It is used to keep those environments clean. Enter the vacuum industry. Around 1991, one of the first (at least first well known) bagless and HEPA vacuum cleaners hit the market. It was called Fantom. Many of the marketing experts as well as engineers who worked for vacuum companies caught wind of this bagless and HEPA filtration idea and they started seeing dollar signs. It was at this time that a huge shift the market started happening. So companies began producing bagless vacuum cleaners with HEPA filtration. This is where the problem began. The manufacturers knew that producing actual HEPA certified vacuum cleaners would be difficult and expensive, so instead they came up with another plan. Unfortunately there are no government agencies that protect consumers as it pertains to HEPA filtration, and so this plan couldn’t be prevented. It is important not to forget that HEPA is NOT a filter, rather a standard by which the filter is measured. The plan was to “decide” that HEPA stood for “Highly Effective Particulate Air” instead of the true meaning of “High Efficiency Particulate Air.” This means that the HEPA acronym still holds true, but does not refer to the HEPA standard that was originally set. Deceptive? Absolutely. Now, this is not to say that all HEPA filters are this “fake” variety, as there are many high end companies that produce actual HEPA filters. The problem is determining the difference. There are two classes of HEPA filters, which are explained below. The S-Class is the most common type of HEPA filter, and unfortunately is also the lower quality of the two classes. They were prototyped and tested in a laboratory for efficiency. During this test the filter is exposed to airflow containing a specific particulate count. The exhaust air exiting the filter is measured for particle count and the filter receives a pass or fail. If the PROTOTYPE passes, it is awarded a certificate number. This is where the slightly shady (in my opinion) bit happens. Using this certificate number that was obtained by the prototype, the manufacturers mass produce the filters in varying forms and designs and then claim that the filter and the vacuum is HEPA. Marketers will use various terms and wording to make these vacuums sound even more legit or appealing. This includes terms like “sealed” or “allergenic” to name a couple. Honestly, the terms are misused. Claiming a vacuum is sealed or allergenic is just not true in most (if not all) cases where and S-Class filter is used. An example can be observed when you test a cheaply made vacuum and realize that air from within the vacuum is leaking out in places that it shouldn’t be, such as where two housings come together. This means that the air that should only be escaping through the filter is not only not being filtered very well by the filter in the first place, but also that it is not even escaping ONLY through the filter. This doesn’t bode well for people with respiratory problems who think they are buying a “healthy” vacuum cleaner. Another trick the manufacturers pull is that during testing they use a much lower airflow than what is actually occurring in a vacuum cleaner motor. For instance, testing an S-Class filter with 30 CFM whereas the actual vacuum may actually put out 80 CFM. This extremely distorts the real world results of the filters effectiveness in the vacuum cleaner. C-Class filters are the higher grade HEPA filters. These filters are individually tested, rather than prototyped and mass produced like their S-Class counterparts. These filters are made with much higher standards using higher quality materials and each filter is given a certification number after testing. The manufacturers who use C-Class filters specifically design each vacuum cleaner and filter to have a sealed compartment, ensuring that air, dust and dirt do not escape from the machine except through the filter as intended. Many of these vacuum cleaners are are further tested to ensure an overall HEPA standard is achieved. The last thing worth talking about is HEPA vacuum bags. In essence, the same things mentioned above about the HEPA filters applies. Where a HEPA bag can really make a difference is when it is used in a well built vacuum cleaner that contains a C-Class filter. The HEPA bag can actually increase the life of the HEPA filter by catching more of the dust, before it has a chance to get to the filter. It is important to remember that the filtration of a vacuum cleaner is not dependent solely on it’s use of a HEPA filter. In actuality it is a combined effort between the quality of the vacuum’s design, the actual quality of the vacuum, the quality of the HEPA filter and the bag. These things combined are what are going to actually determine the overall filtration of the vacuum cleaner. So to conclude, most of the information that you have heard or read pertaining to HEPA vacuum cleaners is actually all a marketing ploy to get you to buy a cheap vacuum cleaner (and a bagless one at that), while making you feel like you have made a healthy and efficient choice. So the next time you are shopping for a vacuum cleaner, I want you to remember this article and take what I have said into consideration. When you see several things written on the box and advertising materials for a cheap vacuum cleaner, making all sorts of claims about filtration, allergies and such, it’s probably mostly fluff. 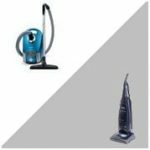 Upright or Canister Vacuum – Which is More Suitable For You?